Home / bloc party / car show / festival / loudness / malaymail / malaysia authoshow / music / news / soundvalley festival / Bloc Party and Loudness headed to Malaysia next month! Bloc Party and Loudness headed to Malaysia next month! In conjunction with Malaysia Autoshow 2017 – the largest and most exciting autoshow in the country, Malaysia Automotive Institute (MAI) is bringing over SoundValley Festival to further accelerate the excitement of car enthusiasts. The two-day festival will take place on 11 and 12 November 2017 at the Malaysia Agro Exposition Park Serdang (MAEPS), Serdang, presenting an impressive line-up of international and local performers. 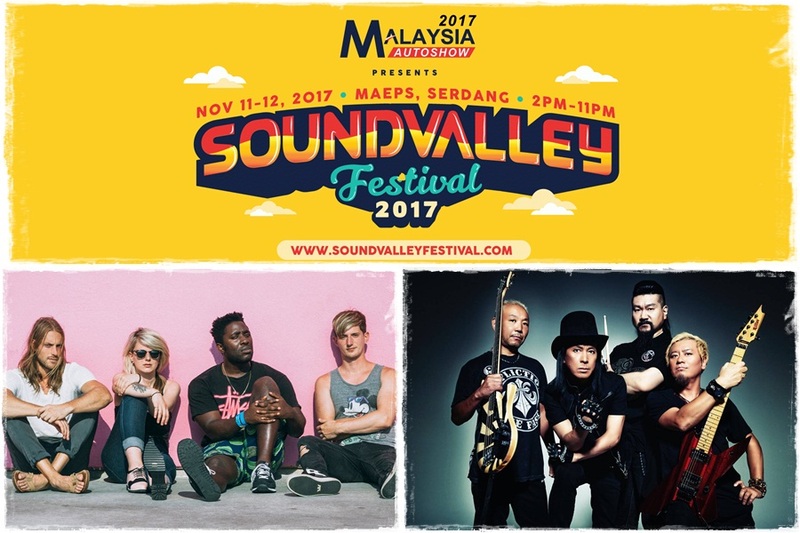 On Day 1, UK indie rock band Bloc Party will be headlining the show alongside several local and regional stars including Malaysia's leading indie alternative rock band Hujan, award-winning pop punk trio Bunkface, Indonesia's rising band Barasuara, and electro rock outfit The OtherSide Orchestra. On the second day of the festival, veteran Japanese metallers Loudness will be rocking the night together with local rock legend Wings, metalcore pioneer Cassandra, 80s rockers May, heavy metal master Metalasia, and rising band FiftyOne50. Patrons of the festival will not only be able to enjoy the performances from these local and international artistes, they will also be able to visit Malaysia Autoshow 2017, taking place from 9 until 12 November, and join all the fun activities there. All festival tickets come with a complimentary entrance to Malaysia Autoshow 2017. Ticket ranges from RM98 to RM588 and are available on airasiaredtix.com.